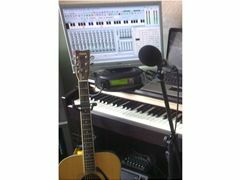 Weymouth songwriter seeks local collaboration. I have a small home studio and a few instruments. I'm usually working by myself and I could do with some creative company. Male, female, young, old, it doesn't matter. Just zero tolerance towards smoking, swearing, drunkeness or drugs. I hope that hasn't eliminated everybody!